This infographic gives an overview of acne suffering, people’s psychological relationships with acne, and treatment statistics. 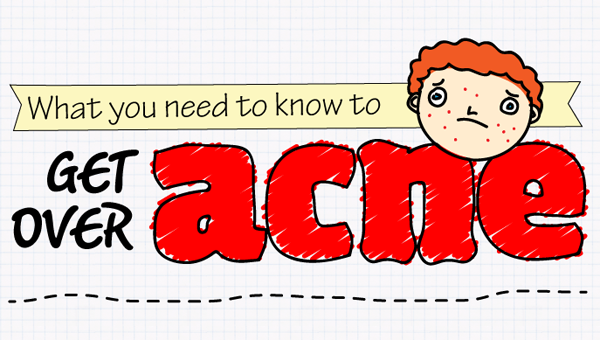 Acne is a tough thing to go through, and it’s nice to see it addressed seriously. The statistics are good and surprising. Friends of mine have ended up with acne scarring and it’s sad, and people should know that treatment options are available. I would have liked to know more about what actually causes acne in an infographic like this. Also, while I appreciate the high level view of what people do to solve their acne problems, I would have liked a bit of an idea of what how the treatment works, whether it dries skin out, is hormonal, who knows what. This entry was posted on March 31, 2012, 1:00 pm and is filed under Health & Safety. You can follow any responses to this entry through RSS 2.0. You can leave a response, or trackback from your own site.